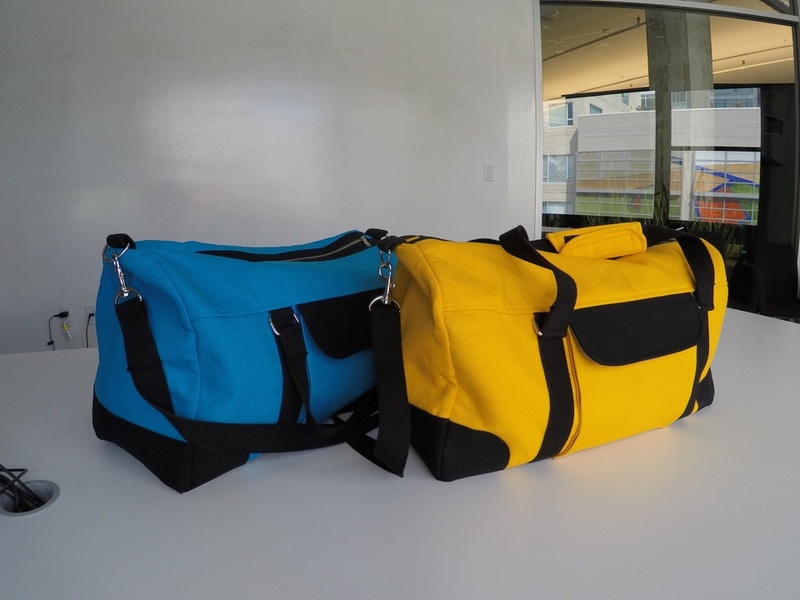 I had hoped this article would be “project complete” for the Yellow Weekender duffel bag. I almost got there on my birthday. I’m getting ahead of myself here. Let’s review the progress so far. 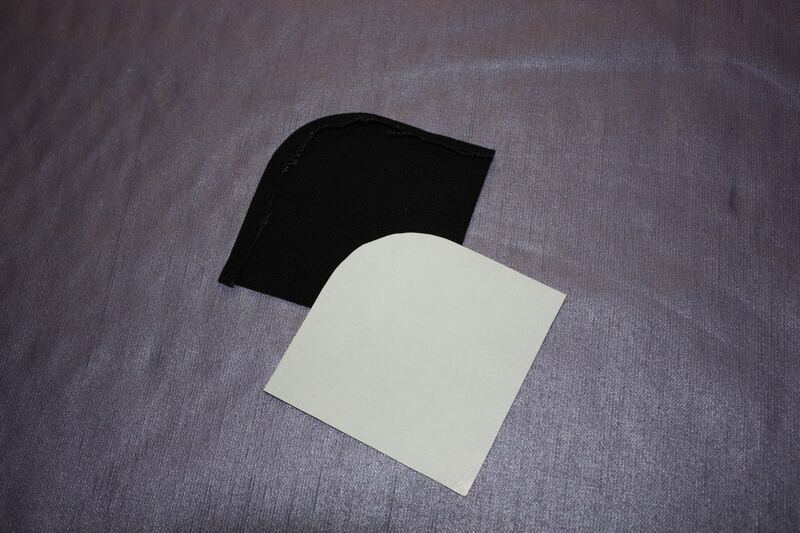 The bag side panels have rounded decorative corners. 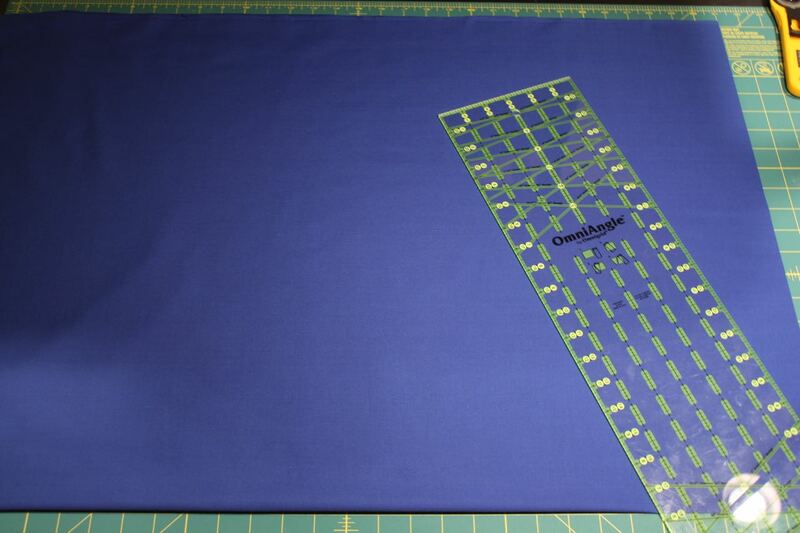 The class instructor has you sew a basting stitch around the curve, 1/4 inch in from the edge, then fold/press around that. That seemed a little loosey-goosey for me. 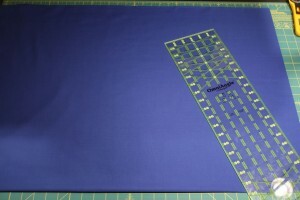 Instead, I made a cardboard template from the pattern, with the 1/4 inch allowance removed, and pressed the corner pieces around that. I was amazed how remarkably well this worked; the canvas molded and shaped itself around the corners with the steam from the iron. This entry was posted in Bags and Cases and tagged Weekend Duffel on February 28, 2015 by mportuesisf. I spent all of this afternoon fusing fabric pieces for the Weekend Duffel project. 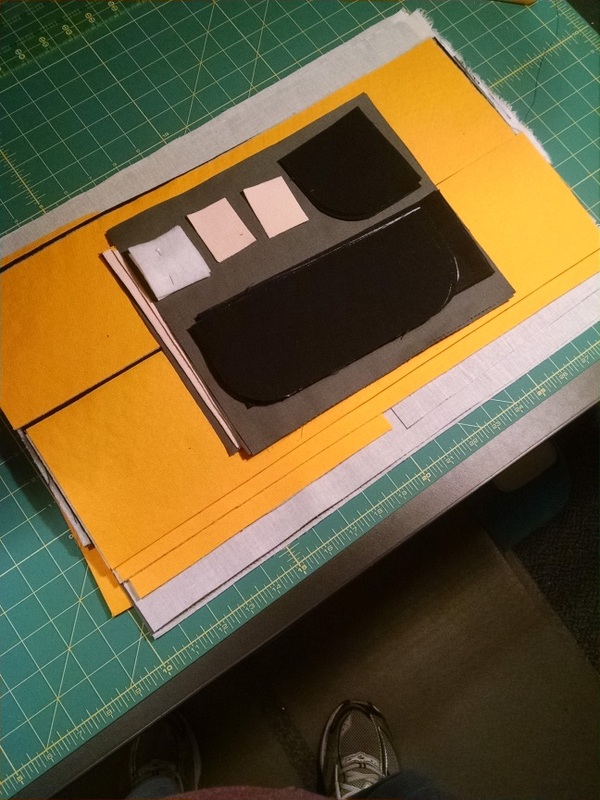 Here’s all the pieces of the yellow bag fused, right before starting work on the blue bag. This entry was posted in Bags and Cases, Fabrics, Project Planning and tagged Weekend Duffel on February 1, 2015 by mportuesisf.